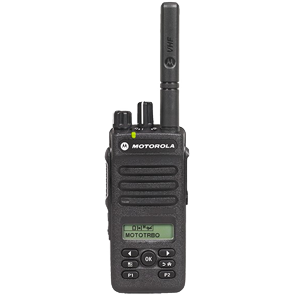 This thin, portable radio is very discrete and light for workers to carry and operate. It has a range of features including integrated Wi-Fi and Bluetooth and a slick user interface design which is easy for workers to operate and read on screen communications. This solution is compatible with all infrastructure options. 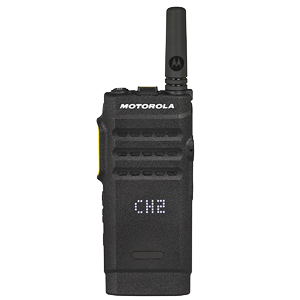 With a rugged and waterproof design this portable solution integrates voice and data seamlessly whilst incorporating the latest digital technology. 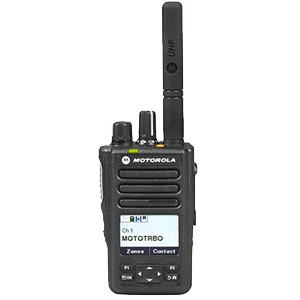 With outstanding audio quality, great coverage and increased battery life, the radio is ideal for workers on the move. This solution is compatible with IP site connect, capacity plus and capacity max. 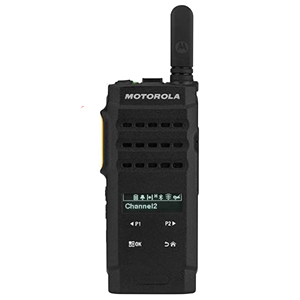 A dynamic digital two-way radio designed to allow workers to be more agile, better connected and safer. 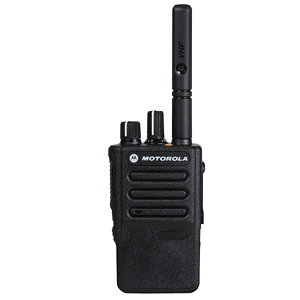 With a compact design this radio is integrated with voice and data features offering high performance at all times. Additional safety features include emergency button, lone worker and man-down. Being ATEX and IEC certified - with an extensive feature set - this is ideal for use within high hazard, potentially explosive environments. The blue colour on the radio itself allows workers to easily identify the ATEX radios. 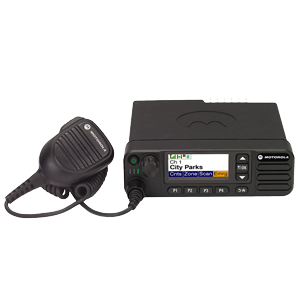 Additional ATEX accessories are also available for use with this radio. This solution is compatible with all infrastructure options. With built in Bluetooth, integrated Wi-Fi, GPS, this is TIA4950 certified, meaning it is suitable for use in high hazard environments. The hardware comprises a series of features with outstanding audio quality, long battery life and a full colour display. This solution is compatible with all infrastructure options. With enhanced audio quality, long battery life, the ability to function at exceptionally long ranges and with intelligent audio, this portable device allows workers to operate at maximum efficiency. The device possesses both analogue and digital capabilities and when combined with a simple software upgrade is available for digital use. The TIA4950 version of this device is suitable for use in high hazard environments. This solution is compatible with IP site connect and capacity plus infrastructure. 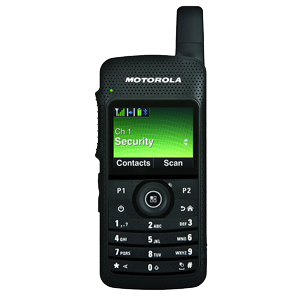 With a portable range of carry options, this handset is an extremely thin, lightweight and robust solution. A long battery life ensures optimum performance, which is combined with an intuitive operation. This solution is compatible with IP site connect infrastructure. 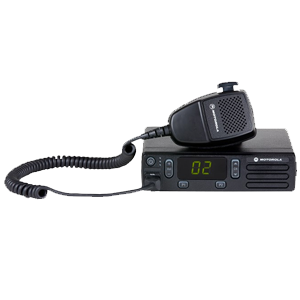 With a stylish and compact design this radio provides instant communications with a virtual keypad and display allowing users to easily navigate around the device. 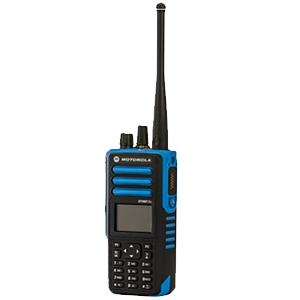 With Bluetooth connectivity and integrated Wi-Fi, this radio is an ideal solution to keep your workers connected and safe at all times with a modernly designed device. 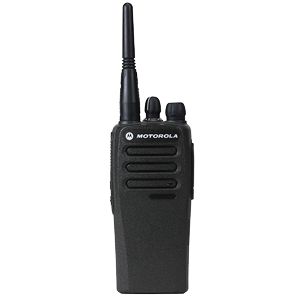 Available as both analogue and digital, this two-way radio offers outstanding audio quality, superior coverage with a long battery life. There is an option to buy the analogue version to integrate with existing systems, and then at a later date as the business goes digital, a software upgrade can be easily made to transfer the radio to digital, allowing companies to update their software in a cost-effective manner. A powerful device that offers exceptional range, excellent audio quality, integrated with Bluetooth 4.0 and Wi-Fi, GPS/GLONASS with the ability to use text messaging functions. With the option to integrate a full colour screen this device can also be customised to suit your business needs. Keep your drivers safely connected without being distracted with this cost effective in-vehicle radio. 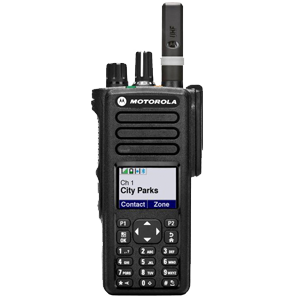 Critical communications can be prioritised with features such as Transmit Interrupt (decode only) on the DM1400 and DM1600 mobile radios, ensuring reliability at all times. ©Copyright 2019 Eemits Communications. All Rights Reserved.